With the end of January month here is my first monthly watchlist post for the year 2019. I have been doing monthly watchlist post since 2018 and it’s my most favourite series of blogging so far. In this post, I will be sharing what I completed, dropped and what I am still continuing Watching. Along with kdramas, I also have Variety shows, Pakistan Dramas and a YouTube monthly playlist of songs that I liked this month. I have included the links if I have already posted the reviews before. For dropped and currently watching dramas I have written my thoughts here. Click here to read review post. At first I really liked this drama. I was able to overlook over the top things in it and enjoy the drama for it is. I liked all three main leads and didn’t care for most of the supporting cast (except that doctor who had crush on Ma Dol and Grandma.) With the number of episodes the story started to get boring but it still had enough of moments to keep me watching it till the end. 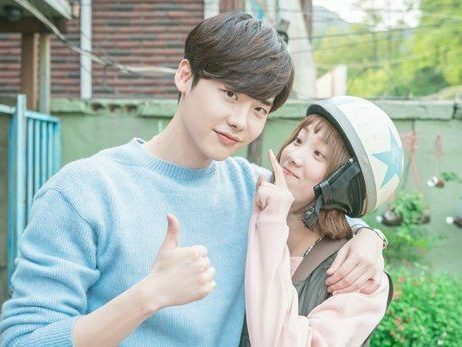 Overall it’s a good drama with just 11 episodes and I will definitely recommend it of you want to watch a light hearted drama and don’t mind cliches and over the top comedy which isn’t annoying always. It’s amazing how it’s keeping me hooked despite the number of Episodes. Definitely recommended. I thought this was going to be another good Chinese drama after A love so beautiful and Accidentally in love. It was good but not enough to keep me hooked. It didn’t have much romance and comedy scenes were just few in between. It’s available on YouTube if you want to check it out. I was actually looking forward to watch this because of Lee Jong Suk but I didn’t like the first episode. It’s not as fun (I know it’s struggle part now but I just don’t feel the vibe) as plot info made it to be. I didn’t like first episode (mainly female lead and story) so I am not going to watch anymore episodes. It was so good to rewatch this drama. I really loved it second time too and made some edits. Check out the link above or my Pinterest page to see the edits. I have watched some old episodes of idol groups and other celebrities taht I was interested in. From episode 150 onwards I am watching all new episodes (dropped a few when I didn’t like the guests.) This one feels better than current Running man episodes. It’s sad to say that I don’t enjoy Running man anymore as I used to. They really need to do something about this. I checked it out because I liked the concept and it was mentioned in NJTW. I was excited to watch it. Although it was relaxing to watch it wasn’t very enjoyable. I watched 2-3 episodes. I will check out some other season with celebrities that I like. It’s still airing. I tried it out because I have watched Kang’s Kitchen which is similar in concept and there are some good looking actors in here. Sadly I only watched two episodes and it’s not as amazing as Kang’s Kitchen. This is the best season from all the NJTW seasons that I watched this month. This is like a 24 episode web drama. Lee Seung Gi was good too but other new members in other seasons did a very good job too. This is the last season that I watched of NJTW. It took me over a week to complete this one because of various reasons. Generally when I like something I binge watch it and finish it within 3 days. This was my least favourite season of NJTW. I loved this. I liked their hardwork and the concept. It was too tiring for them so they probably won’t be doing another season but this one is a must watch. I watched it because of NJTW, it has same cast and they got to do this because of it. This one happened because of Song Mino and NJTW. I loved the opening part where they had to plot to kidnap them knowing they were ready to be kidnapped. After that it got little boring but I kept watching as it was just 4 episodes. I liked from the part where they got extra money to shop clothes for them. Later on their sky diving🏖️, shark🦈watching and star gazing 🌌 experience made this show worth watching. I loved it then and I was glad I watched it. I will checkout more of other seasons of Youth over flowers. All the other dramas that I started with this are in my dropped or on hold list. But I managed to finish this one. It was bad at first but kept getting and better and the end was messed up but it still had a good ending. I hope they wrap it up nicely in less episodes then dragging it further. I don’t want to lose interest in this too. I like the OST too. Koi Chand rakh, Aatish, Ranjha Ranjha Kardi. No plans on finishing these drama. I will check the new episodes when I feel like or when I nothing else to watch it probably watch last episodes. All my posts from January 2019. Have you watched something from my watchlist? Let me know your thoughts in the comments below. And if you have recommendations for me feel free to write them in the comments below. Kingdom is on my plan-to-watch list, I’ll try to watch it after I’m done with Sky Castle. I’m a big fan of Lee Seung-gi, I’m still thinking if I will continue to watch old episodes of 2 Days, 1 Night or will watch first NJTW. Of course I’m updated on the episodes of Master in the House. I tried one episode of Master in House (with Son Ye Jin) and didn’t like it. Haven’t watched any episodes of 2D1N but I will definitely recommend NJTW it’s just 24 episodes of 5-15mins. You can binge it in a day or two. I actually loved the 2 episodes of Romance is a bonus book..
sad that you didn’t enjoy the it.